Official website for Armand Gutheim - artist, composer, director, choreographer, photographer, painter and producer. Mother Earth Artists presents the first 2-tracks single "The Lost Memorial of the 1900s... Part 1" consisting of: "1914" [Part 1-4] / "Nothing but a Warplay"  with Armand Gutheim and The Feel Harmonic Rockestra. It is preceding the release of the forthcoming full length album "The Lost Memorial of the 1900s..." on December 15, 2018. Join us on this musical trip through time and history with all its reminders and milestones still relevant for us all today. This single takes us back to 1914, when the 1800s definitely ended with WW1, and to 1917 with the unexpected development of the Russian Revolution which, somehow, put an end to the old world. The single is available here and on all major digital music services. Mother Earth Artists also presents the new music video "Nothing but a Warplay"  which accompany this new single "The Lost Memorial of the 1900s... Part 1". 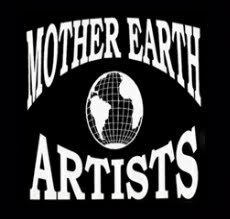 You're most welcome to visit www.motherearthartists.com and send us an e-mail to info@motherearthartists.com if you wish. Please, spread this video in your own network and don't forget to click on every like- and follow-button you encounter if you like it. Thank you so much! © ℗ 2018 Mother Earth Artists, Sweden. Here comes Promotion video 1 from Mother Earth Artists before the release on September 22nd 2018 of the new single and video “The Lost Memorial of the 1900s… Part 1”: “1914” [Part 1-4] / “Nothing but a Warplay”  with Armand Gutheim and The Feel Harmonic Rockestra. Join us on this musical trip through time and history with all its reminders and milestones still relevant for us all today. Let's together rediscover "The Lost Memorial of the 1900's..."
You're most welcome to visit www.motherearthartists.com and send us an e-mail to info@motherearthartists.com if you wish. Please, spread this video in your own network and don't forget to click on every like- and follow-button you encounter if you like it. ©2018 Mother Earth Artists, Stockholm, Sweden. Mother Earth Artists releases Armand Gutheim's new full length album "The Lost Memorial of the 1900s..." on December 15th 2018. Available on all major digital music services. Click here! Armand Gutheim is participating at the annual photo exhibition at Kapsylen in Stockholm organized by CFF (Center For Photography) December 1st - 16th 2017. Merry Christmas! Mother Earth Artists releases Armand Gutheim's sixth single "The Lost Memorial of the 1900s... Part 6" on December 1st 2018. Available on all major digital music services. Click here! Mother Earth Artists releases Armand Gutheim's fifth single "The Lost Memorial of the 1900s... Part 5" on November 17th 2018. Available on all major digital music services. Click here! Mother Earth Artists releases Armand Gutheim's fourth single "The Lost Memorial of the 1900s... Part 4 on November 3rd 2018. Available on all major digital music services. Click here! Mother Earth Artists releases Armand Gutheim's third single "The Lost Memorial of the 1900s... Part 3 on October 6th 2018. Available on all major digital music services. Click here! Mother Earth Artists releases Armand Gutheim's second single "The Lost Memorial of the 1900s... Part 2 on October 6th 2018. Available on all major digital music services. Click here! Mother Earth Artists releases Armand Gutheim's first new single in three years on September 22nd 2018. Available on all major digital music services. Click here! Armand Gutheim is represented at the Summer exhibition at Galleri Nybroviken June 4th - August 31st 2018. Armand Gutheim is participating with his artwork at an exhibition at Galleri Nybroviken in Stockholm March 13th - May 31st 2018. Armand Gutheim participates with his work in an art exhibition at Galerie Métanoïa near Centre Pompidou in Paris February 23rd - March 8th 2018! Bienvenues! Armand Gutheim presents some of his newest paintings at the annual art exhibition "Art Capital" at Grand Palais in Paris February 14th - 18th 2018! Bienvenues à toutes et à tous!!! Armand Gutheim is participating at the annual photo exhibition at Kapsylen in Stockholm organized by CFF (Center For Photography) December 9th - 17th 2017. Merry Christmas! Armand Gutheim's photo "Under the Wings of Law" wins the first prize of the Stockholm Photo Marathon on October 31st 2017! Congratulations!!! Armand Gutheim participates with some of his paintings at an exhibition at Galleri Nybroviken in Stockholm October 11th 2017 - January 31st 2018! Mother Earth Artists is represented by Armand Gutheim and Charlotte Assarsson at the annual Cornelis Festival in Stockholm August 26th 2017 where the company's actual activities are presented. Armand Gutheim is touring with "Beatles 4eveR" in the Stockholm area together with Hans Müller and The Beatles Information Center during March 2017! Armand Gutheim presents his photographic artwork "Stockholm by Night" at an exhibition at Galleri Nybroviken in Stockholm February 14th - May 31st 2017! Armand Gutheim appears live along with Hans Müller with the music program "Beatles 4eveR" at Pygméteatern in Stockholm on November 8th 2017 at 7 pm. Most Welcome! Armand Gutheim and ten other artists on Sublunar Society are played by the radio station Maximum Insight in New York April 2016. Out now on February 15th 2016: Armand Gutheim's album "The Human Footprint [Ultimate Edition]" is available as CD and for download / streaming on alla major digital music services! Available now: "Breathe Out", a 3 track single. See also the new video "Being on Cloud 9". Available now: "A New World", a 3 track single. See also the new video "What a Marvelous World". Available now: "Wasteland", a new digital EP! See also the new video "What About the Human Footprint". Available now: "Extended Day", a new digital EP! See also the new video "Breathe out Tonight". Available now: "Dangerous Vacuum", a new digital EP! First US Review of "The Human Footprint" by Armand Gutheim. Armand Gutheim's new album "The Human Footprint" is out now on July 1st 2015 and available on all major digital music services!! Published by: Mother Earth Artists. Publisher: Armand Gutheim © Mother Earth Artists. Powered by Blogger.